Editor’s Note: Rob McQuade met Lloyd Carter of Blax Lax at the US Lacrosse Convention this year in Baltimore. Rob interviewed Lloyd for LaxAllStars and it provides an interesting follow up to our earlier post on Morgan State University’s Club Lacrosse Team. 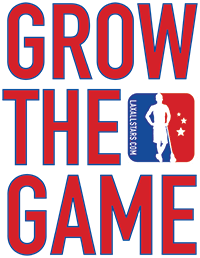 LAS: What inspired to you start Blax Lax, Inc.? LLoyd Carter: I was inspired to start Blax Lax for several reasons, but some of the main reasons were my love for the game of lacrosse, and the fact that I had just started coaching varsity lacrosse at Northwestern High 2 years prior. At the end of the season in May, the players had nowhere to play until March of the next year. When I was in high school I was exposed to the Hero’s League during the summer. It improved my game and gave me an opportunity to keep playing, but there was no such outlet for inner-city players from Baltimore. The main catalyst was a player named Shawn Medlin who played for me his junior and senior year of high school. Shawn led the state in scoring both years and was selected to the Maryland State All-Star Game. On his team, and the opposing team, were Division I NCAA top recruits; the most notable player on the winning team was Kyle Harrison. Shawn played on the losing team and with limited playing time won the games Most Valuable Player Award. He was by far the best player on the field, but had no offers to attend college and his career was literally over. 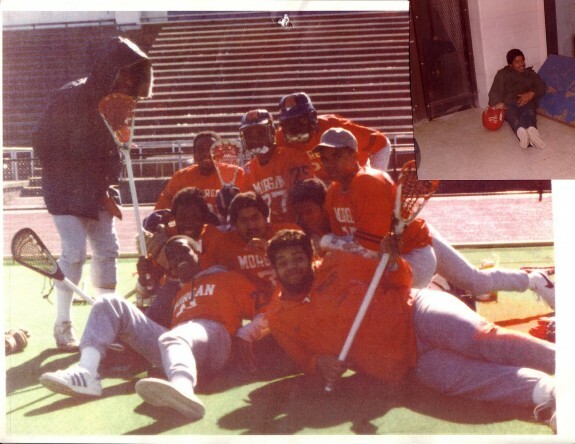 It hurt me so deeply that I, and other Morgan Lacrosse alumni, started Blax Lax, Inc. Our goal was to try and correct the lack of acknowledgment of lacrosse talent, and to increase the opportunities to play lacrosse, for African Americans in the inner-city. Off-season lacrosse is important for development. As you begin your 9th year, what are some of the biggest accomplishments you’ve achieved with Blax Lax? – Reestablishing lacrosse at Morgan State University in 2005 as an official club team after 24 years of not having a program. Due to the fact that I was on the last team Morgan fielded in 1981 (my junior year), I always felt that I had some unfinished business to take care of. – We established the Blax Lax Adult Club team, which played in the championship game in the Howard County Summer League in the club’s inaugural year (2003). 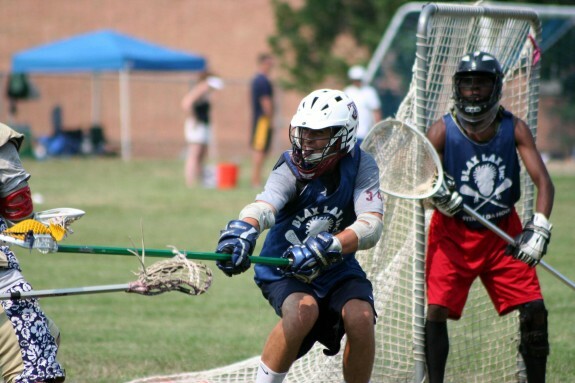 – We established the Baltimore City Lacrosse Senior All-Star Game and it is held annually to showcase the best senior players, city-wide, to give them an opportunity to be seen by prospective college coaches and to give the sport of lacrosse a boost in popularity in the city. This was also in 2003. 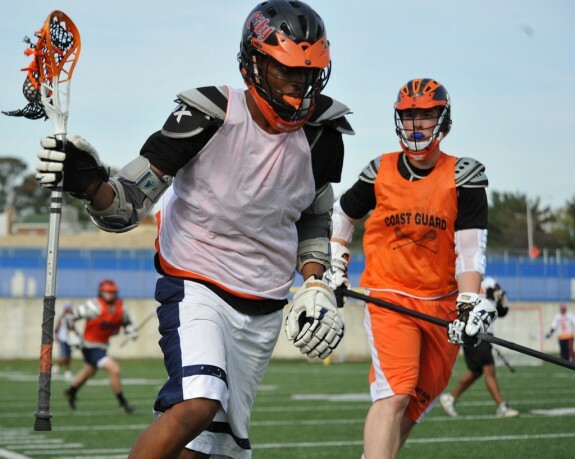 – We also established the Runn and Gunn Summer League that gave inner-city players the opportunity to play organized lacrosse after the regular season; not only to hone their skills, but to be exposed to other lacrosse programs and venues. (2004). – We have been able to establish ourselves in the national and international lacrosse community with our affiliation with US Lacrosse and the BRIDGES Initiative. Lacrosse enthusiasts recognize our name, our brand, “Stix In Da Hood”, and most importantly, our mission. That’s quite an impressive list of accomplishments. What have been some of the biggest disappointments? LLoyd Carter: The biggest disappointment is the lack of true diversity in the wonderful sport of lacrosse. It should be the most diverse game in America. Created by Native Americans, named by the French, developed and expanded by Euro-Americans, and the flavor added to the game by African Americans. But to this day, there are, to my knowledge, no Historical Black Universities (HBU) that have a lacrosse program that competes in the NCAA at any division. The African American players that are blessed enough to get the opportunity to play in the NCAA are so far and few, it is somewhat embarrassing and disgraceful for the sport of lacrosse and the NCAA to accept it. Lacrosse is said to be one of the fastest growing sports in the United States, but here in Maryland where lacrosse is the “Official State Sport”, no HBU has the sport competing at the NCAA level. But there is Johns Hopkins, University of Maryland, UMBC, Towson, Loyola, and Salisbury just to name a few, and all of these schools have a long history of programs competing in the NCAA. The disparity is glaring. One of Blax Lax’s stated goals is to bring back varsity lacrosse to Morgan State University, where are you at in that process? LLoyd Carter: The process is slow and arduous and it is still at a grass roots level. Finally, under the new University President, (within the last two years) Morgan’s club team is finally allowed to practice on campus and has actually played in Hughes Stadium for the first time in over 28 years. But, there needs to be a concerted effort from the leadership at Morgan and the leadership at the NCAA and US Lacrosse to make it happen (NCAA level competition) and stop looking for excuses for it not to happen. Outsiders see lacrosse as being the sport of a particular demographic: rich, white kids. What has been the biggest obstacle Blax Lax has faced in overcoming this perception? LLoyd Carter: I never felt that way because I grew up with lacrosse in my neighborhood and at my high school and at the college I attended. Although it was, and still is, very obvious that the sport is segregated off the field, on the field there is no separation, you can either play well or you can’t. But even if you can’t play well initially, if you stay engaged and work hard you can’t help but get better, that’s the beauty of lacrosse. Morgan State’s club team in action recently against the USCGA. The disparity is just a microcosm of society; whites are often given more opportunities to play due to the economics involved in playing the sport. There is often the comparison of lacrosse to basketball, to which African Americans are obviously very much involved. The comparison is often stated, “to play a basketball game you need a hoop and a ball (minimal cost). To play lacrosse you need helmets, stick, gloves, arm pads, balls, goals (somewhat costly), but the investment is always worthwhile”. 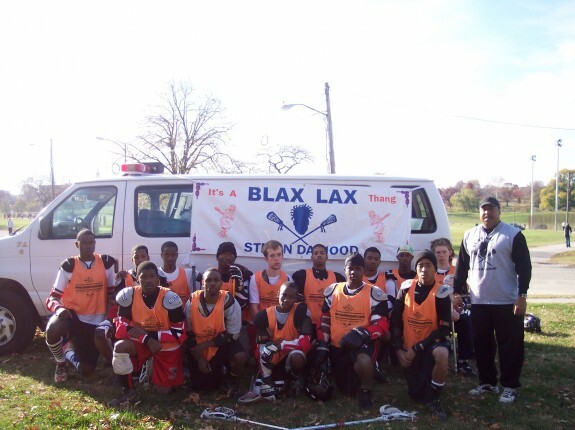 Our goal at Blax Lax is to make the sport accessible and affordable to African Americans. Any preconceived notions about the sport you have to dispel? LLoyd Carter: Yes, it is not a White Man’s sport; it’s the truest American sport that there is. I have seen Native Americans call lacrosse “ The Creators Game”, from the spiritual attributes of the sport. I don’t recall any other sport being addressed in that manner. Where do you hope Blax Lax is in 10 years? LLoyd Carter: Continuing to expand the game of lacrosse and providing for equal opportunities for African American participation at every level. Any advice for others trying to help spread the word about lacrosse to the African American Community? LLoyd Carter: Yes, go to our website blaxlaxinc.com and open the lines of communication so we can network and come up with ideas and action steps to spread the game that we love. Give those players who you are trying to influence the opportunity to see the game played by African Americans. Put a stick in their hands and keep it in there. I have heard of some “inner city expansion programs” that let the players borrow the sticks and balls for practice and games and then take it back— WRONG !!! They need to bond with the stick and have a ball to play with, that’s the only way you get better. 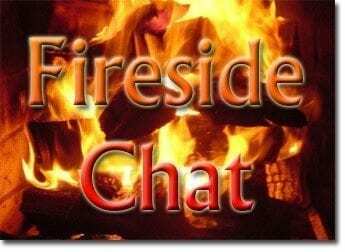 This has been another Lax All Stars Fireside Chat. Check out our full list of interviews here.